Which Is Better: Fibrex®, Aluminum or Vinyl Replacement Windows? If you’re in the market for replacement windows, congratulations on making a smart decision for your home. New windows not only can improve curb appeal, they can also help with your energy bills. You might be overwhelmed by all the choices you have. While most options are good, your head might be spinning a bit as you consider where and what to buy. We at Renewal By Andersen know replacement windows are a big investment for your home and these decisions shouldn’t be taken lightly. Here, we’ll try to help clear things up a bit as we look at the difference between some of the most popular replacement window material options: vinyl, aluminum and Fibrex®. 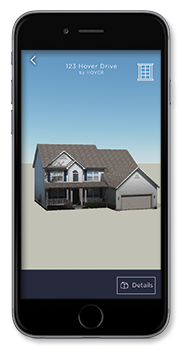 After you’ve finished reading, feel free to browse our website, request a copy of Renewal By Andersen’s product brochure or schedule a free in-home consultation if we can assist you in any way during the replacement window buying experience. We’d love to help you choose your replacement windows. 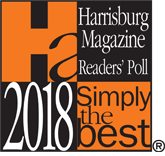 Call today at 717-591-4900 ! Here to help Jerry & Susan with more windows! Here to help Melanie with her entry door! Helping Tina & David with some worn out wooden windows. Ready to help Barry & Deb with their rotten windows! Here to assist Gayle & Mark with their new construction vinyl windows that have already failed. Here to help Gabrielle and Scott with their tired, worn out windows. Susan & Michael have poor performing windows - never fear, Renewal by Andersen windows will keep you comfortable and work great for years to come! Are you on a tight home-improvement budget? Chances are aluminum windows have caught your eye with their relatively low sticker price for base models. Aluminum windows continue to be a popular choice for many homeowners because of their low starting price point. Note that if you want all the bells and whistles, it’ll cost you. A strong, durable choice, aluminum replacement windows will stand up to years of wear and tear. 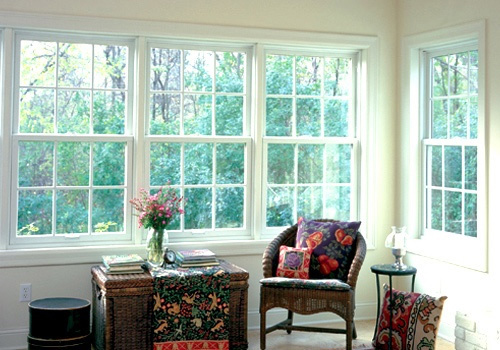 Aluminum replacement windows can be made to fit a variety of sizes in your home. And, with an aluminum window, you’ll get superior quality time and again. If you care about making your home as green as possible, another benefit of aluminum replacement windows is that they are extremely earth friendly. Aluminum is 100 percent recyclable. Aluminum windows are also great for city dwellers, as they can greatly reduce street noise. They also offer a range of customization options. If you want to personalize your windows, aluminum windows offer a variety of paint colors and styles. Note that while they can be painted, the paint will eventually chip and the metal will show through, so some maintenance is required. Unfortunately, it’s not all good news when it comes to aluminum replacement windows. In regards to aesthetics, some buyers are turned off by the sharp 90-degree angles of aluminum windows that come from bending the metal during the manufacturing process. The problems with aluminum windows, however, are more than skin deep. It is a common issue among aluminum-window owners to notice seal failure. The result is foggy glass from condensation trapped between the glass panes – not exactly an attractive look for your brand-new replacement windows. Owners have also complained about the energy efficiency of aluminum replacement windows. Think about it -aluminum is often used in cookware because it’s good at conducting heat. Those heat-transferring properties don’t change when aluminum is in a window frame instead of a frying pan. During the dog days of the summer – or even on an extremely sunny day – aluminum windows will let the heat inside your home. 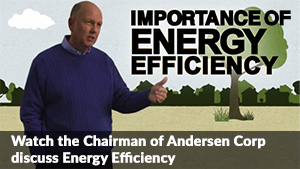 Your energy bills can skyrocket as a result. Another downside of aluminum windows is that they eventually start to wear out. Aluminum windows feature metal on metal and need to be lubricated from time to time to properly work. Many aluminum windows also feature other metals – including zinc and steel – as fasteners in other parts. These materials can react with the aluminum and begin to corrode. 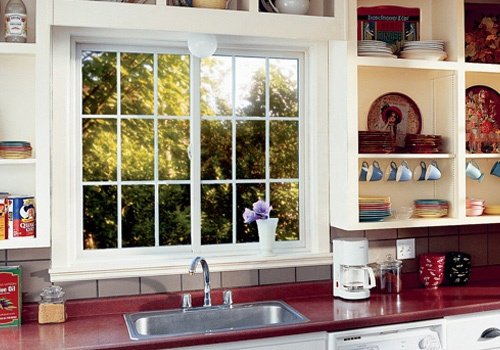 Vinyl replacement windows continue to be one of the most popular choices for homeowners. They’re often the choice for builders, too, as more and more homes come standard with vinyl windows – and for good reason. Ever hear the saying “vinyl is final”? While they’re not actually everlasting, a quality vinyl window can last you upwards of 20 years. If you’re used to the maintenance associated with wood or aluminum windows, you’ll appreciate a virtually upkeep-free existence with vinyl replacement windows. There’s no need to sand, paint, stain or even lubricate your vinyl windows, which makes them easy to care for. Many vinyl windows also come with an option for a manufactured wood grain finish, which gives you the look of wood without all the work. Vinyl windows are also incredibly easy to clean – both on the inside and the outside. 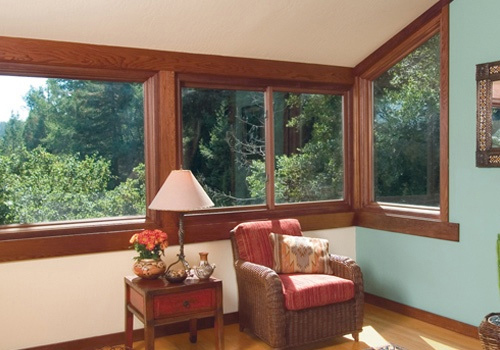 As you might already know, vinyl replacement windows are extremely energy efficient. They were designed with the customer in mind and do a phenomenal job at keeping heat in during the winter and out during the summer. Vinyl replacement windows also won’t let cold air into your home through cracks, as sealing hasn’t been a common issue. That means condensation buildup isn’t usually a problem for vinyl-window owners either. While vinyl might seem like it has the upper hand here, there are some downfalls to this popular replacement window choice. For one, vinyl replacement windows aren’t very good at insulating against sound. If you live on a busy street or work third shift and sleep during the day, you might not be happy with all that excess noise infiltrating your home. 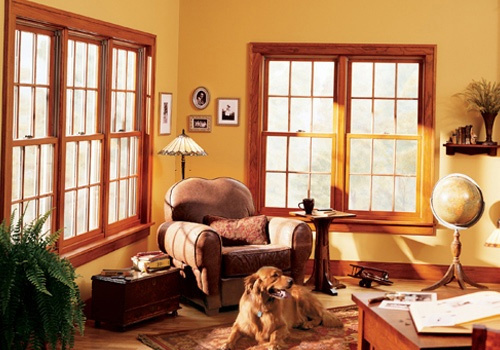 In addition, vinyl replacement windows come in a limited variety of colors. Unlike wood or aluminum windows that can be painted to match your home’s siding or trim, vinyl windows come in a few limited options. While you might get lucky and find an exact match, chances are your vinyl replacement windows might be a few shades off. Vinyl windows are also much heavier than aluminum replacement windows. While this shouldn’t be a problem in most newer homes, it can pose an issue if you’re planning to install replacement windows in an older home. Without the proper reinforcement – which can get pricey – vinyl windows won’t work in your existing openings. If you’re used to the strength and durability of wood or aluminum windows, you might also be sorely disappointed with vinyl replacement windows. Vinyl replacement windows just don’t stand up to harsh weather conditions and storms as well as other options. When it comes to replacement windows, Fibrex® leads the way. Andersen Corporation developed the composite material more than 30 years ago, and we’ve been using it exclusively in our replacement window products ever since. Our unique Fibrex® building material combines many of the attributes homeowners love about wood, aluminum and vinyl windows – with none of the hassle. One of the best qualities of Fibrex® replacement windows is its extreme energy efficiency. Our replacement windows are 56 percent more energy efficient than traditional double-pane glass in the summer and 45 percent more energy efficient in the winter. These savings add up – our customers save an average of 25 percent on their heating and cooling bills. With Fibrex®, you won’t have to worry about your windows expanding or contracting because of exposure to direct sunlight and heat. That means your seals will remain intact, and you won’t have condensation buildup or fog trapped between the layers of glass. Our Fibrex® replacement windows are also completely customizable. We offer you a choice of nearly 50 interior/exterior color combinations, about a dozen hardware finishes, three grille patterns and two screen options. Plus, Fibrex® is twice as durable as traditional vinyl replacement windows and is essentially maintenance free. You won’t have to worry about your Fibrex® replacement windows – and those gorgeous finishes – rusting, cracking, blistering, flaking, peeling, pitting, rotting or corroding. Fibrex® windows are also aesthetically pleasing and completely customizable to the look and feel of your home. Because Fibrex® isn’t composed of a rigid metal, we’re able to design our replacement windows with smooth lines and angles. Renewal By Andersen offers eight unique window styles: Double Hung Windows, Casement Windows, Bow/Bay Windows, Picture Windows, Sliding Windows, Awning Windows, Custom Windows – with 13 basic shapes – and Patio Windows. The best way to learn more about our Fibrex® replacement windows is to schedule a free in-home consultation with a member of our knowledgeable sales team and get the conversation started. We will assess your needs and budget. We’ll then let you know which products we recommend to start your home improvement project. Small budget? No problem! We can still make Fibrex® replacement windows work for your home with deferred payments, low minimum monthly payments, no upfront fees and home-improvement credit lines up to $55,000. Our team has three decades of experience working with Fibrex® replacement windows. 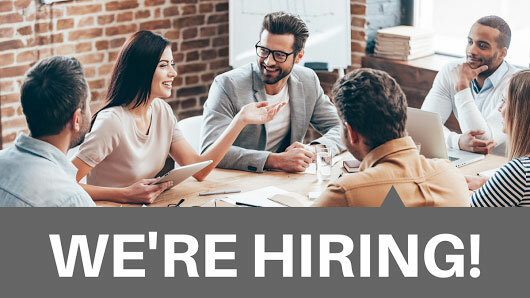 Because we’re so confident in our team and our Fibrex® products, we offer a two-year limited warranty on installation in addition to our 20-year limited warranty on glass and ten-year limited warranty for all other window components. Find out what you could be getting with Fibrex® by calling us at 717-591-4900 today! We look forward to hearing from you and helping you make the right choice for your home.